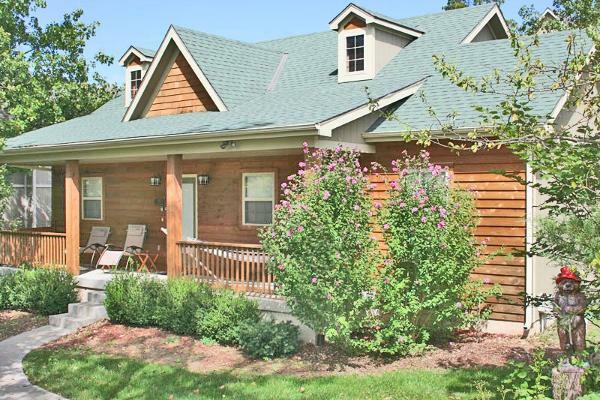 Rustic Elegance is charming privately owned vacation home, nestled in the peaceful woods of Branson Canyon, only ¼ mile to Table Rock Lake. 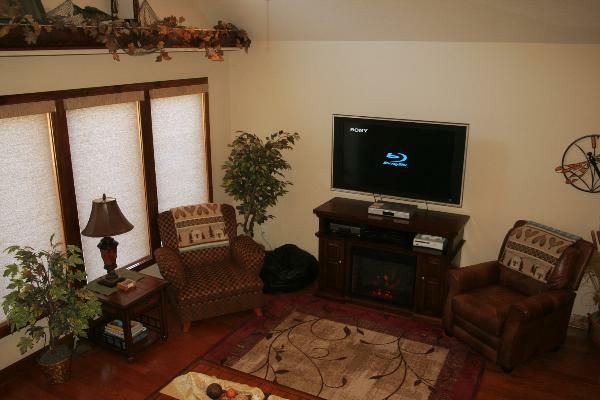 Completely furnished with all new appliances, furniture, everything you need to have a great time. 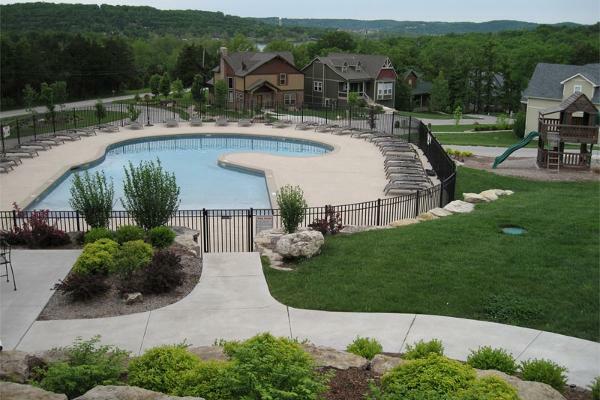 Included are free use of Clubhouse* with exercise room, pool & poker tables, and entertainment area with gorgeous views of the lake, heated zero entry saltwater pool w/ splash pad, Basketball court, walking trails, and playground areas. Relax with your sweetie, or another couple. Explore the lake, take in a show, have a nice dinner, or go shopping at the outlet shops. *Large groups require reservation and clubhouse fees. $200 security deposit required at the time of reservation to reserve the cabin. The reservation balance due in full,30 days prior to arrival. snorkeling/diving. mountain climbing, basketball court, spelunking, water tubing, many golf courses nearby, fly fishing, freshwater fishing, hiking, hunting big game, hunting small game, swimming, tennis, sailing, cycling, fishing, golf, wind-surfing, water skiing, mountain biking, mountaineering, paragliding, roller blading, antiquing, boating, shopping, scenic drives, outlet shopping, paddle boating, sight seeing, bird watching, eco tourism, walking, horseback riding, arboretum, autumn foliage, botanical garden, caves, churches, forests, library, marina, museums, recreation center, theme parks, water parks, restaurants, ruins, water falls, winery tours, zoo, live music and shows. YOU MUST AGREE TO THESE TERMS, & CONDITIONS, POLICIES, & AGREEMENT, by clicking on the reservation box below, or reservations will not be processed. 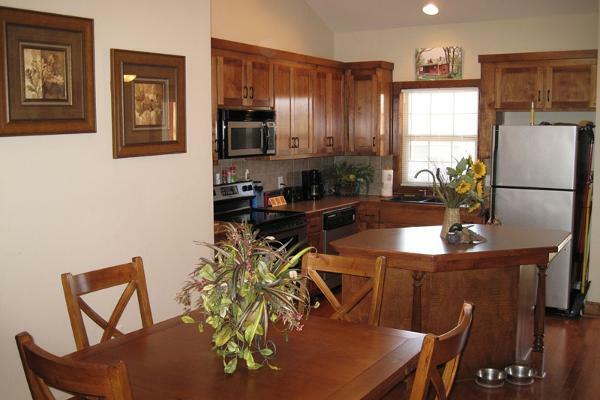 Rustic Elegance is a privately owned vacation rental home, suited for maximum occupancy of 6 adults/children combination. Occupancy limits are strictly enforced unless prior arrangements have been made with owner. Unauthorized abuse of occupancy at any time during the stay will result in $100 charge per person, per night over the maximum, or, at the discretion of the owner, the agreement is terminated and guests must vacate the property immediately without any refunds. 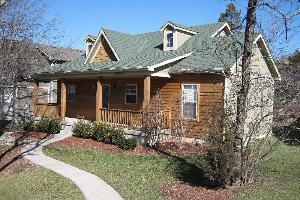 $200.00 security deposit fee and approval of rental policies and rates are required at booking. This fee will be refunded when no damages, or policy violations are found, within one week after stay. NO EXTRA CHARGE FOR PETS, unless damage results, which you are responsible. 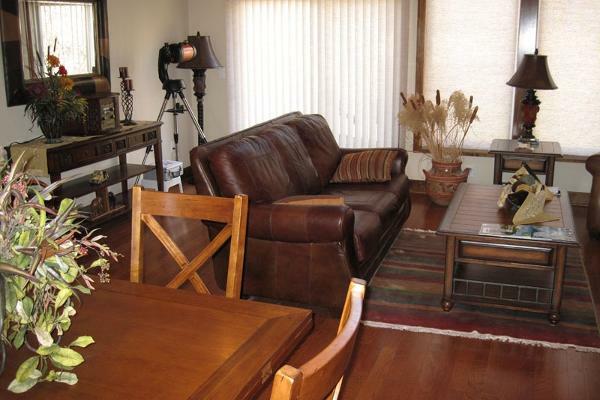 Full Rental Balance plus $100 cleaning fee per stay is due 30 days prior to arrival. After paid, then directions to address, and your assigned door security code will be e-mailed or phoned to you, asap. No illegal or criminal activities allowed. If guest commits any illegal or criminal activities on the premises whatsoever, any rental agreement is terminated immediately and guests must vacate the premises without refund of any rent or deposits paid. No fireworks, profanity, indoor smoking, or indoor tobacco use of any kind allowed. Using fireworks will result in termination of rental agreement, and guests must vacate the premises immediately and without refund. If guests smoke indoors or use tobacco of any kind indoors, there will be a minimum $200 fee and immediate termination of agreement without refund. (Don’t risk it). 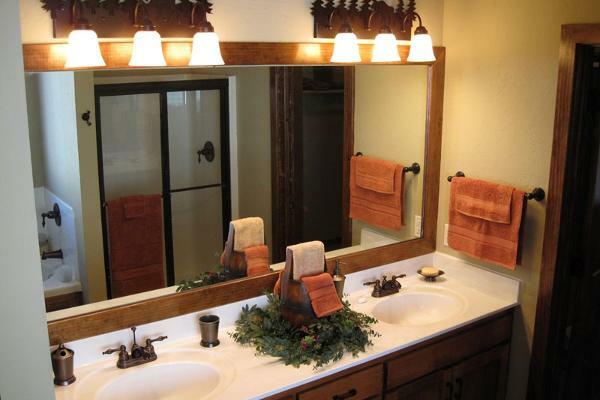 The amenities listed for Rustic Elegance are for the use of that home’s guests only. If a member of your party is staying elsewhere, they are not allowed to use the amenities on the site of your reserved home. 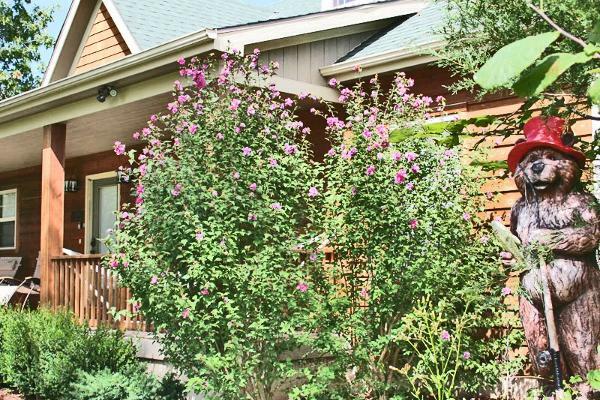 For example, the pool and clubhouse at Branson Canyon, where Rustic Elegance is located, can only be used by paying guests staying in Rustic Elegance or other Branson Canyon homes. Cancellation made 30 days prior to scheduled arrival, will refund any money paid over the $200 security deposit. Less than 30 days. All money will be kept. Note: Until confirmed, all rates are subject to change without notice. Security deposit for any damages or excessive cleaning is required. Valid credit card information is used for this purpose or Pay Pal, ( fully refundable when no damages , policy agreement violations or excessive cleaning is necessary or found). Although we do everything possible to make your stay as pleasant and carefree as possible, we cannot control or be responsible for the weather or other unforeseen circumstances which may affect your stay. In the unlikely event that any circumstances arises which would prevent the owner from being able to rent the home, the owner is liable to return only monies which the guest has paid. ADDRESS: P.O.Box 6931, Branson, MO 65615 Phone: 913-558-9612 Owners Cell. CHECK-IN TIME is AFTER 3 P.M. CST AND CHECKOUT is 11am CST. NO Early Check-in or late checkout unless approved by Owner. PETS are permitted in rental units only with prior approval. No extra per pet fee applies unless damage results, Pet owners are responsible for cleaning up any/all pet refuse. Pets are not allowed on furniture at any time. Any evidence of pets on furniture may incur extra cleaning fees. All pets must be up-to-date on rabies vaccinations and all other vaccinations. Heartworm prevention is highly recommended. All pets should be treated with Advantage or similar topical flea and tick repellent three (3) days prior to arrival. Fleas and ticks are very rampant in this area and can cause harmful/fatal illness to humans and pets. All items above are the sole responsibility of the pet owner. The cabin owners assume no responsibility for illness or injury that humans or pets may incur while on the premises. Pet will not damage premises. If damages are caused, the cost of the damage may be deducted from security deposit. Guest should prevent pets from producing excessive noise at a level that disturbs neighbors. Pet will not be left unattended for an undue length of time, either indoors or out. DAMAGE/RESERVATION DEPOSIT - A reservation deposit of $200. is required. This must be received at the time of booking the reservation. The deposit automatically converts to a security/damage deposit upon arrival. The deposit is NOT applied toward rent; however, it is usually fully refundable within (30) days of departure, provided the following provisions are met. •	All debris, rubbish and discards are placed in dumpster, and soiled dishes are placed in the dishwasher and cleaned. •	Unit is left locked. •	All charges accrued during the stay are paid prior to departure. •	NO early check-in or late checkout unless approved. •	The renter is not evicted by the owner (or representative of the owner), the local law enforcement, or the security company employed by My Community. PAYMENT – FULL BALANCE OF RENT is due no later then (30) days before your arrival date. This payment will be applied toward the rent. Please make payments via credit card or Paypal payable to Rustic Elegance. CANCELLATIONS –Cancellations that are made more than Thirty (30) days prior to the arrival date are subject to a refund of any previous rent payments paid. The $200 booking deposit will be forfeited. Cancellations or changes that result in a shortened stay, that are made less than Thirty (30) days of the arrival date, shall forfeit the full rental payment, Cleaning fees, and reservation deposit. Cancellation or early departure does not warrant any refund of rent. 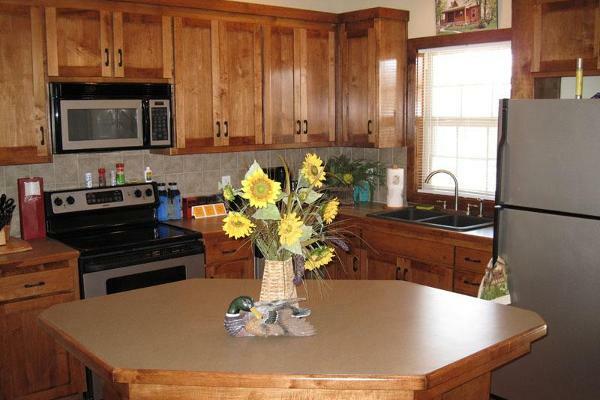 MINIMUM STAY – This property requires a TWO (2) night minimum stay on weekends. (Friday / Saturday.) Holiday periods required minimum THREE (3) night stay. INCLUSIVE FEES – Rates include a one-time linen & towel setup. State and Local Taxes. NO DAILY HOUSEKEEPING SERVICE – While linens and bath towels are included in the unit, daily maid service is not included in the rental rate. However, it is available at an additional rate. We suggest you bring beach towels. We do not permit towels or linens to be taken from the units. PARKING – Parking is limited to three (3) vehicles. Vehicles are to be parked in designated parking areas only. Parking on the road or on grass is not permitted. Any illegally parked cars are subject to towing; applicable fines/towing fees are the sole responsibility of the vehicle owner. Boats, RV or trailers must park at Lakeside Storage across street, Min. $10/night fee required. With them. 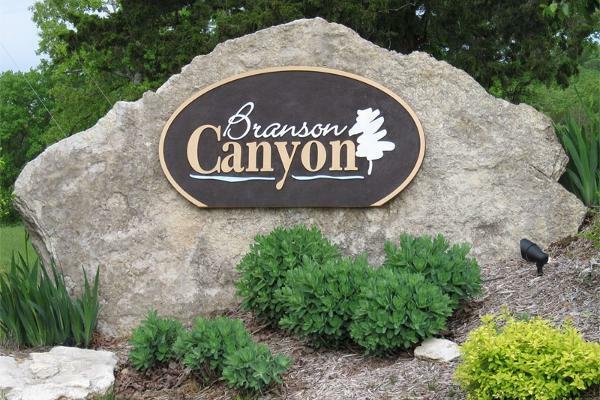 WATER AND SEPTIC – Branson Canyon homes are on wells and septic systems. The mineral content in the water is high. We have not have had a problem for many years, but during a drought, or periods of non usage, the Hot water may have an odor. If this happens, run hot water in Guest bathtub with drain open, until hot water tank is emptied of hot water. The smell should go away. It helps to open window, and close door in guest Bathroom. Even with smell, water is safe to drink. 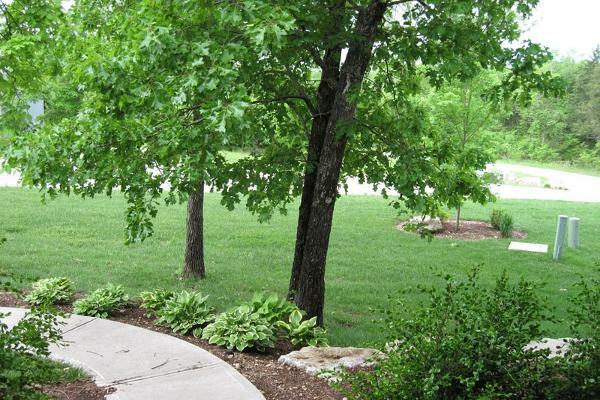 The septic system is very effective; however, it will clog up if improper material is flushed. DO NOT FLUSH anything other than toilet paper. No feminine products should be flushed at anytime. If it is found that feminine products have been flushed and clog the septic system, you could be charged damages of up to Two hundred dollars ($200).